The pristine wetlands in Bottle Creek Lagoon. Bottle Creek is one of the most scenic areas in the country. Excellent views can be had off of the main road in the Bottle Creek settlement. 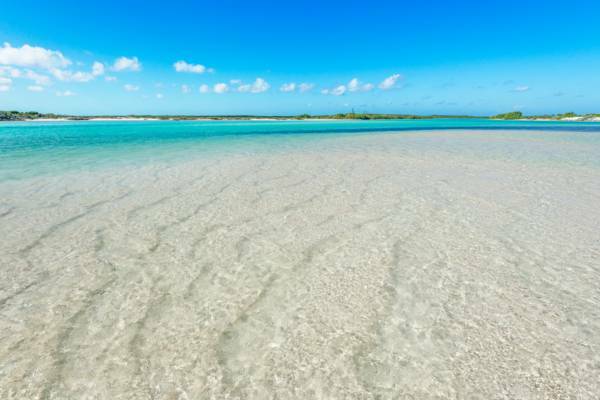 The brilliant turquoise hues of Bottle Creek Lagoon are only rivaled by Chalk Sound on Providenciales. Bottle Creek can refer to two locations on North Caicos, the body of water and wetlands to the east of the island, and the adjacent settlement of Bottle Creek Village. This page refers to the body of water and the nature reserve. 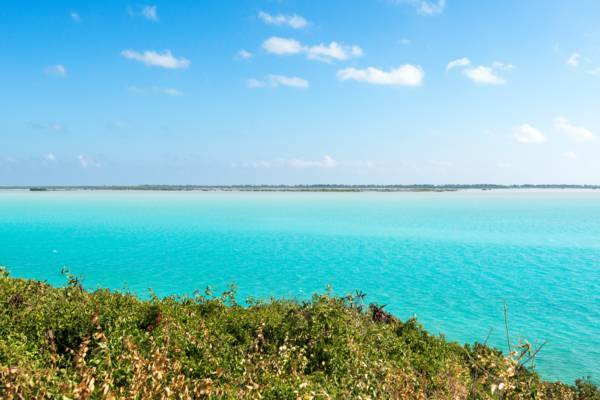 One of the most scenic locations in the Turks and Caicos, Bottle Creek Lagoon is a five square mile lagoon found between the east side of North Caicos and the protected nature reserve of Bay Cay and East Bay Cay. The majority of Bottle Creek is quite shallow with a sandy bottom, allowing only for kayaks, paddleboards and smaller power vessels. Other than sightseeing along the coast, the main attractions in the area are kayaking, stand up paddle boarding, boating and bonefishing. Several rental vacation villas are found along the coast of Bottle Creek, and these accommodations usually include complimentary kayak (and possibly stand up paddle board also) use for guests. If these watersports are important, consider staying at one of these locations instead of a Sandy Point or Whitby accommodation. What Makes the Water Brilliantly Turquoise? Vying with the equally turquoise Chalk Sound Lagoon on Providenciales in terms of spectacular neon water shades, Bottle Creek gets its signature colour from light reflecting off of fine suspended limestone particles. On the north-western end of Bottle Creek, the abruptly changing depths, sand bars and narrow channels of Greenwich Creek is an excellent place to see these hues. The colours of Greenwich Creek.